I thought there was a thread for this, but I couldn't find it. I think now is a good time for it to have it's own thread. It's finally real, developer kits have started to go out to the initial kickstarter backers, and I feel SO dumb for not ordering this thing months ago. I was a little skeptical, I admit. I didn't think the first revision would be very good, and I certainly didn't expect much support for it yet. But here we are, people now have it in their possession and it works - apparently amazingly well, even with the lower resolution screens in the Dev kits. There is some game support already in the form of tech demos and many Source engine games work. The product is still at about 70%, but it is already looking mighty impressive. This is my single most anticipated gaming product. It's going to change everything. Totally immerses you in a game, but it's also affordable, and the design makes it much less straining on your GPU and CPU than regular 3D gaming. Below you'll see even a MacBook can run it. I'm going to put in my order today. Anyone else excited for this thing? I thought this whole concept was over and done with, but they appear to be doing it right this time and it seems really cool to me. Looks pretty awesome. I kind of want to order it, but I'll wait until the commercial release. The Dev Kit's screen quality is apparently not as good. Unless you are actually going to develop for it, wait for the consumer version. SANTA ANA, Calif. (KABC) -- The pedestrian who was struck and killed during a police chase in Santa Ana was identified Friday as 33-year-old Andrew Scott Reisse. Coworkers described him as a "brilliant mind." Reisse, a Santa Ana resident, was walking in a crosswalk when he was struck and killed at the end of a police chase Thursday. Reisse's father, who lives in Virginia, said his son moved to Southern California about a year ago. Reisse co-founded Oculus VR in Irvine, a company known for its virtual reality headsets for immersive gaming. "Andrew was a brilliant computer graphics engineer, an avid photographer and hiker who loved nature, a true loyal friend, and a founding member of our close-knit Oculus family," the company said in a statement. A grief counselor was available for coworkers, as they learned of Reisse's death. Some of the coworkers said they have known Reisse since college and have worked with him at multiple companies. "Andrew's contributions span far and wide in the video game industry. His code is embedded in thousands of games played by millions of people around the world," the statement said. "Words can not express how sorely he will be missed or how deeply our sympathy runs for his family." Authorities say the incident began when officers saw two vehicles full of people involved in some type of criminal activity in the 1000 block of Rosewood Court Thursday. When officers went to investigate, there was a physical altercation between police and 26-year-old Gerardo Diego Ayala that ended with a fatal officer-involved shooting. Police say a gun was located at the scene. Investigators allege 21-year-old Victor Sanchez and two other suspects then took off in a Dodge Charger. With Sanchez at the wheel, the Charger slammed into two vehicles during the pursuit before hitting Reisse, police said. "They ran through several red lights, including the one where they struck our victim," said Santa Ana Police Cpl. Anthony Bertagna. The suspects were taken into custody. Police say all are gang members on probation, with outstanding warrants for their arrest. Sanchez is recovering in the hospital from injuries suffered during the crash. The two other suspects are not yet being identified due to the ongoing investigation. Wow, that's sad... and unfortunate. One of my university colleagues has a dev kit and we took it for a test drive about a month ago... very impressive. We got to test it using some games his students had created, but the impressive demo came from a virtual tour of our campus that was in the dev stages. They ported it out for Unity and we were able to take it for a spin. The resolution was fine, but higher would be better. I wore it for about 10 minutes and was never dizzy, but several students could not use it for more than a minute or due to vertigo-like effects. It was a pretty cool experience, though I'm not sure I'd play a whole afternoon on it. As for the device itself, I'm not sure if I would want this for FPS games. The problem is, in those games your viewpoint is linked to your direction of movement. So if you look to the side, you also move in that direction. This thing is just duplicating what the mouse or analog stick does, and likely not in as precise of a way. It would have that extra immersion of cutting off the outside world, but I'm not sure if that's enough to make it worth it. Where I think this could REALLY shine is in a racing or flight sim, in which the control of the vehicle is separated from your viewpoint. With this thing you could look off to the sides or even behind you (like you might do with a hat switch), but it doesn't influence the vehicle's direction, which is solely controlled by the wheel/yoke. This is possible now with head tracking via a camera, but of course the Oculus VR would be even better since you wouldn't have to move your head away while keeping your eyes fixed on the screen in front of you. Yeah, the technology won't be so easy to incorporate with existing gameplay styles, which have all developed around traditional control schemes for a 2D display. Even with normal 3D technology, you can notice this. FPS games are much more difficult in 3D than in 2D, since you are aiming in 3D space vs. just positioning your target in the center of the screen. Nevertheless, I think a first person perspective is going to be best when using this device, obviously. It's why I'm so excited about it. Games, to me, are about escapism. And I think the Rift will usher in a new style of game, focused more on immersion in a world and less on gameplay mechanics. I think this is going to be an exciting transition. I'm thinking there will be a lot of games in the style of classic adventure games, only you will be able to physically place yourself in the game world rather than interact with it through as series of commands. I think it is interesting how easy it is to develop for as well, as goldberg's post illustrates. Content will be key in adoption of this technology. No plans currently to sell an updated developer model, although they may do so when the consumer version is closer to release. Yeah, I've wanted to update this thread but I've been super busy with work. This thing is getting tons of press. Every day this week several of the top stories on Engadget have focused on the Rift, and everyone is raving about the new HD model. This is by far the most exciting development at E3. The current development kit already has an outstanding community of modders and indie devs, and I have a feeling it is going to explode when the consumer model gets released. Imagine five years from now when they can cram a 4k monitor in this thing and you don't see any pixels... It will be insane. All the hype around this product reminds me of the iPhone pre-app store. It will be a totally new way to play games. It's a completely different experience than playing on a 2D screen, and the gameplay will reflect this. I'm thinking of buying the Dev kit just to give them money and support it. Just kidding...this makes much more sense in today's world. I can see myself buying one once the consumer version is out and there's good support for it on consoles and PC. 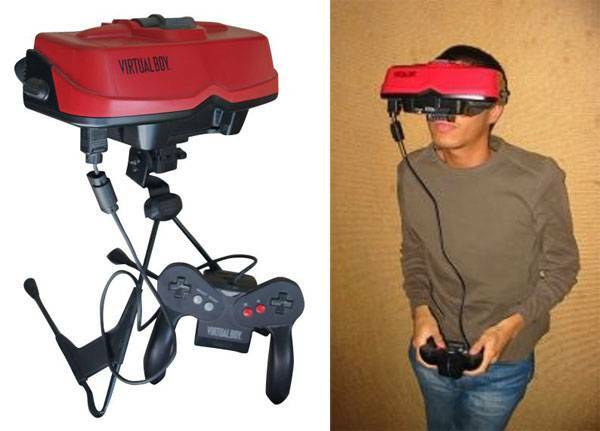 I have been wanting real VR glasses since playing Dactyl's Nightmare at an arcade probably 20 years ago. I'm hoping it's finally here. I forgot, does turning your head actually turn your view with these? I feel like i'm the only one that has zero interest in this. Of course, I also dislike 3D movies quite a bit, and can never see those 3D images on paper. Yes, the view changes when you turn your head. I just can't see playing a game for extended periods with this thing on my head. Seems cool as a tech demo but that's about it. It seems like it'll have its uses, racing games are probably amazing with it. If they ever get this to work with a Tie Fighter style game, it would be pretty fantastic. Exactly, because in that game you could look around the cockpit, but the ship would continue to move in whatever direction you're pointing it towards with the thumbstick or joystick (well, actually if you're not turning it would just keep moving forward without any stick input, since you only move the stick when you turn). Horror would be another ideal genre for this. Think Amnesia. "I cannot talk about what display it is. It’s a top of the line off the shelf panel. Supply won’t be a problem, there are plenty of them available, and they won’t be discontinued for a while." I'm guessing it's from an HTC or Samsung smartphone. I'll try but I don't remember a thing about that game. I'm trying to see how an FPS would work on this? Maybe when you tuck your gun and run, you can move in one direction while looking around, but not changing the direction of your run. Then when you bring your gun up, or are moving more slowly, your view actually changes where you're aiming? Or you aim within your view? I'm thinking Goldeneye on the N64 - you can move the crosshair around separately from looking. I think it'd be the same here, you would look around with your head and move a crosshair around with your mouse.